Seeking a career in the health care industries, which will utilize my skills, training as well my passion. 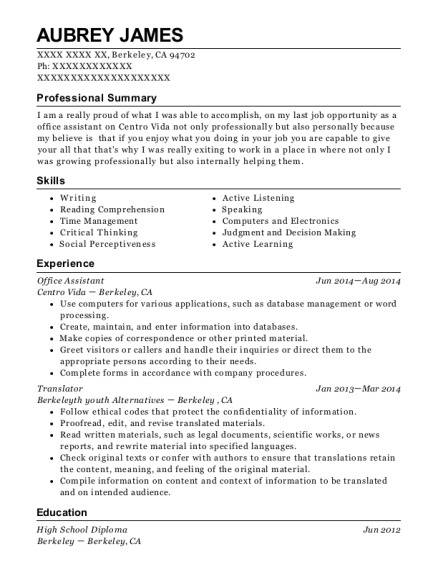 I am a professional leader fast paced with strong listening skills as well a strong commitment to providing quality service to enhance company policies and overall brand. I have the ability to think quickly and successfully handle difficult situations can maintain a sense of humor under pressure. I work very well with others as well thrive in deadline driven environments. Excellent team building skills. Load machines with objects to be processed, then unload objects after cleaning and place them on conveyors or racks. Made sure all orders were correct going out for delivery. 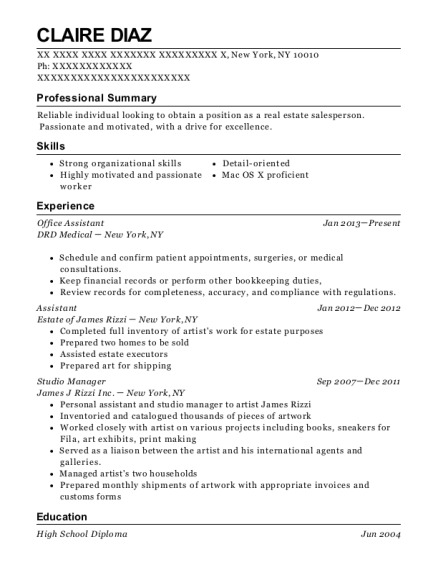 This is a resume for a Office Assistant in Chicago, Illinois with experience working for such companies as LMN Reality and Volunteered New Begging Church. 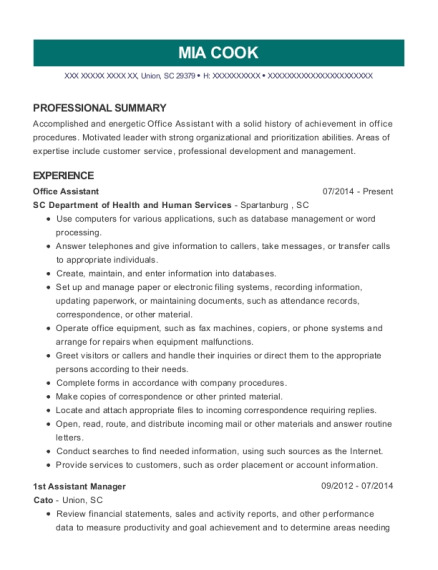 The grade for this resume is 0 and is one of hundreds of Office Assistant resumes available on our site for free. 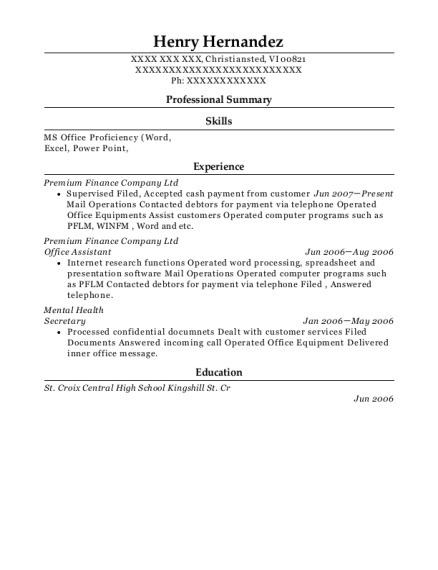 Use these resumes as templates to get help creating the best Office Assistant resume.